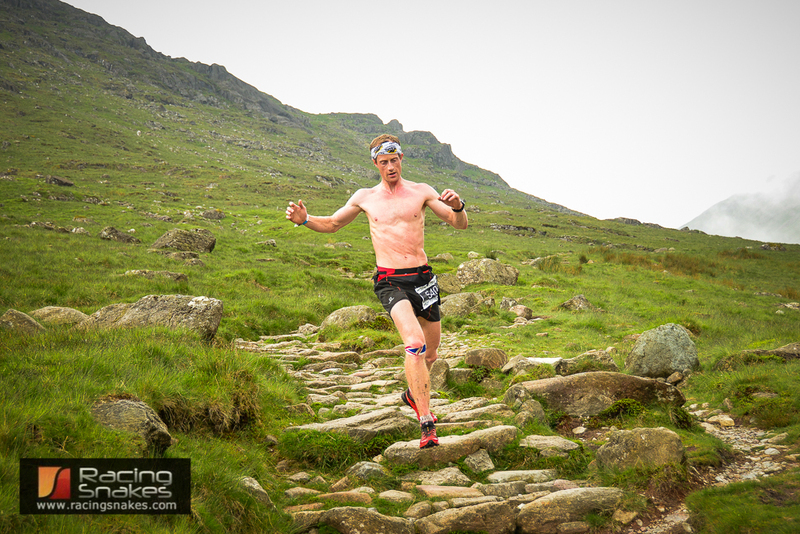 The 2014 Scafell Trail Marathon was won by Cristofer Clemente who beat Ricky Lightfoot into second place. The race was in warm and mostly dry conditions but the weather was certainly a factor in the top three positions. 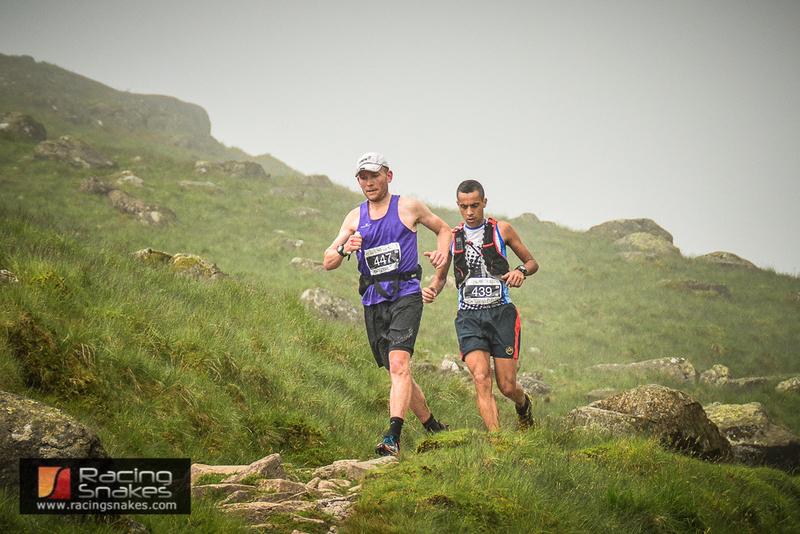 On the climb to Sty Head Ricky Lightfoot had a good few minutes lead on the chasing duo of Kim Collison and Cristofer Clemente, Once they reached Sty head visibility was very down to a few meters and Ricky made a navigational error coming off Scafell Pike. Kim Collison used his compass skills and navigated with only a minor error off the summit. Cristofer Clemente was playing a very wise game and letting Kim lead the way whilst he hung on to his shirt tails. Once off the mountain Kim was finding the pace hard to maintain and Cristofer pulled away from Kim on the climb to Watendlath, Ricky was making big gains into the leading pair and overtook Kim to finish second. The race starts off following the shores of Derwentwater from Nichol End Marina, before then making its way up the Borrowdale Vally to Seathwaite. There is a feed station here that provides the racers with food, water and a chance to take on some 9bar energy food. The race then ascends the highest mountain in England (Scafell Pike) via Styhead and the corridor route. This year (2014) sees a prize awarded to the fastest Male and Female runner up the mountain. This is where racingsnakes took the photos of the Scafell Trail Race. Once the Scafell Pike has been summited the race descends back to Seathwaite via Esk Hause. The race still has a kick in its tail though as there is a further climb up to Watendlath before the final undulating descent to the finish in Keswick. There is also a chance just after Watendlath to refuel at a feedstation. This entry was posted in Fell Race, Trail Running, Ultra Running, Uncategorized on June 15, 2014 by racingsnakes.